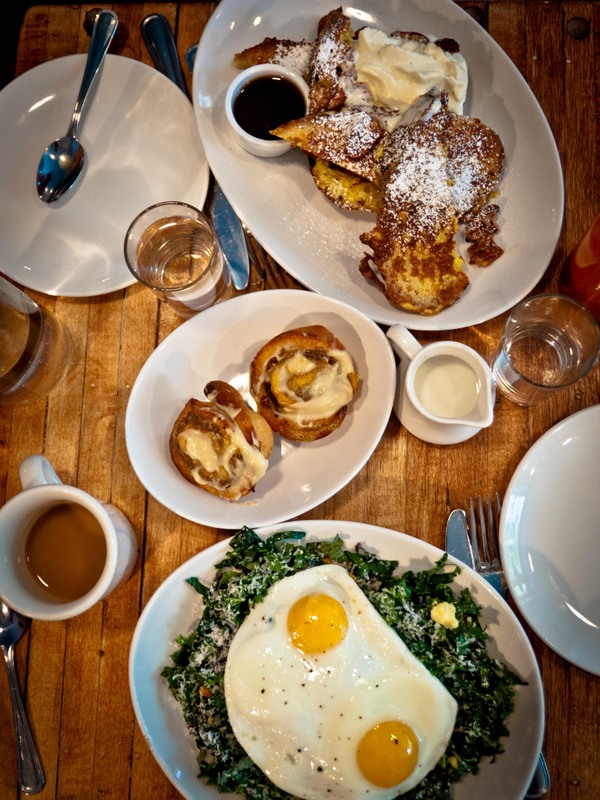 Saturday brunch at Northern Food Spy Co. in East Village to kick off the weekend. I indulged with their pork sticky buns so I had to compensate with their famous kale salad filled with salty pecorino and roasted sweet potato slivers. Two baked eggs on top because brunch wouldn’t be brunch without some eggs, especially some runny egg yolks.